So, from their Brooklyn workshop, where they designed, created, and launched The Mason Shaker, a now-iconic invention that transformed a Mason jar into a cocktail shaker, they also created Shake. One part instructional recipe book and one part photo journey through their year of cocktail crafting, the book is a simple and inspirational expression of their seasonal, straightforward approach to drinks and entertaining: Mixing cocktails should be simple, social, and above all, fun. ERIC PRUM and JOSH WILLIAMS have been best friends since they were freshman roommates at UVA. 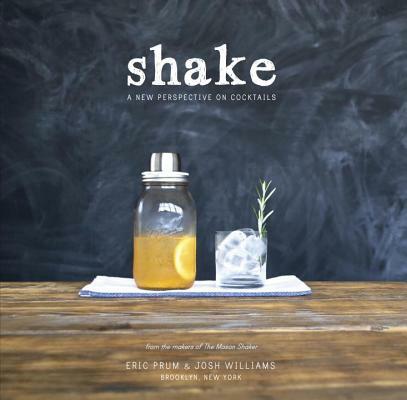 A decade later, they are founding partners in W&P Design, a product innovation company launched in 2012 with a Kickstarter campaign to manufacture a Mason jar cocktail shaker. They are guest cocktail contributors for marthastewart.com and have been featured in the New York Times, Martha Stewart, Southern Living, Food & Wine, and on CNN among other media outlets.